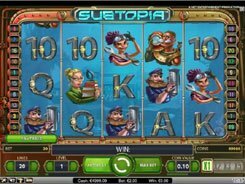 Dead or Alive is a 5-reel 9-payline video slot that transports you to the Old West – the time of the most wanted and dangerous outlaws who were tracked down by sheriffs and wild lawmen for the reward. 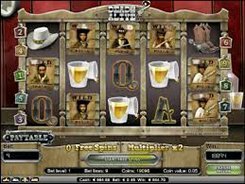 This slot from NetEnt conveys the atmosphere of the Old West era and features the symbols that depict Wanted posters, sheriff badges, beer pints, revolvers, etc. 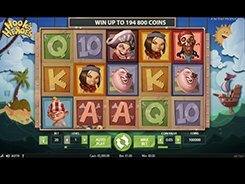 Placing a bet that ranges from $0.01 to $18 per spin, you can win up to $5000 for hitting five scatter Revolvers in any position or $3000 for getting five wilds (the Wanted Outlaw poster) across a payline. 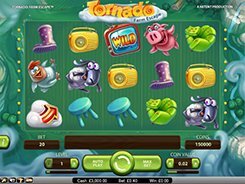 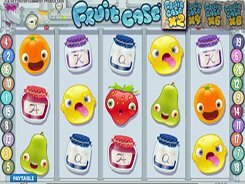 Along with a regular wild, the slot has five different Sticky Wilds that appear during the round of free spins and hold their position until the free spins feature is over which can boost your winnings. 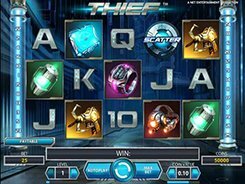 The free spins are unlocked by 3+ scatter Revolvers awarding you 12 free spins with all payouts doubled. 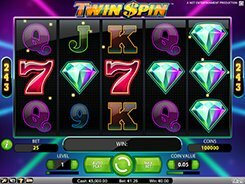 Amazing graphics, decent payouts and a lucrative sticky wild feature make Dead or Alive a fairly appealing slot for all slot fans.